Du.0, a two-violin duo based in New York City, is on tour! Please join us and some of our Boston friends - Steven Long Quintet and TapTwo (Jason Huffman, trumpet, and Marti Epstein, piano) - for a night of old, new, and wildly improvised music. Du.0 (pronounced du-point-oh) is a two-violin duo based in New York City. 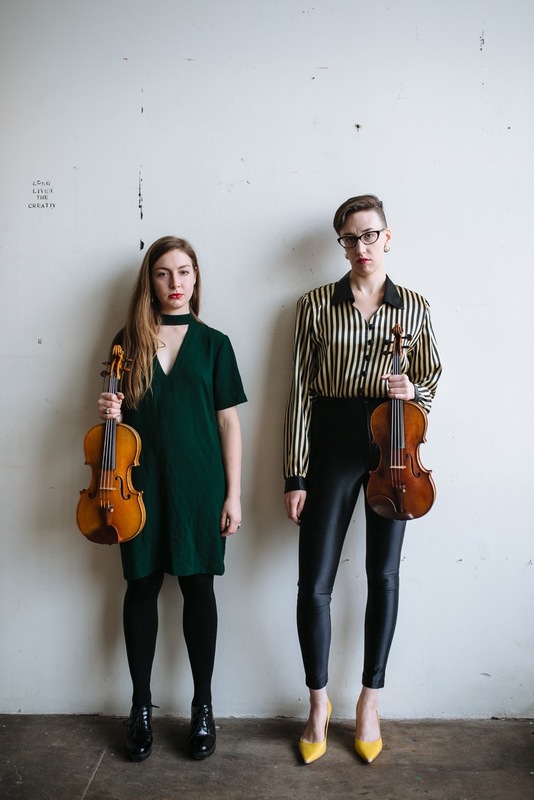 Charlotte Munn-Wood and Aimée Niemann form this "feminist-gesamtkünstwerk-chamber- noise” duo, which plays old, new, and improvised music; and they love finding new sounds on their violins (and sometimes non-violins). Steven Long is a composer, pianist, improvisor, and native of Brooklyn, New York. His work explores the porous line between composition and improvisation. He is fascinated by the conflict between the musical ear and the score; the spontaneous understanding or reaction to a musical situation as opposed to the visual representation of ideas. Two Boston composer-performers team up for a program of anti-fanfares.